The team lineups for Electronic Sports League (ESL) One 2017 are now complete and eSports fans are waiting with baited breath for the action to kick-off in from the 7th to the 9th of July at the LANXESS Arena in Cologne, Germany. LANXESS arena is Germany’s largest indoor arena, demonstrating how big the demand for eSports has grown to be and this was the same venue that SK Gaming emerged as Counter-Strike: Global Offensive (CS:GO) Champions during ESL One 2016. As your guide for eSports, Master Mazuma is proud to present all the information you need to know for this years’ much anticipated ESL One 2017. ESL is an elite eSports company which has been organising worldwide events since 2000. It’s also the largest eSports company broadcasting on Twitch, the leading social video platform and community for gamers. ESL One betting has become absolutely huge and ESL’s rise to prominence has been swift, with 173,000 fans attending the Intel Extreme Masters 2017 in Katowice and reaching more than 46 million unique online spectators, a 35% expansion from the previous year. The event was the most broadcasted event in ESL history and through livestreams, highlight packages and using both Twitter and Facebook, the World Championship reached 55 million fans on social media channels, cementing ESL’s position as one of the most important dates in eSports. ESL is also working hard to make eSports even more of a global phenomenon through ESL One betting and by forming a partnership with BY Experience to offer five live eSports events to theatres all over the globe. These new eSports in Cinema experiences are scheduled to launch with all the action from ESL One Cologne and be expanded to include four other events from the eSports calendar. If that wasn’t enough, ESL have been busy making an eSports documentary called All Work All Play created by the same people that were responsible for Square Roots: The Story of SpongeBob SquarePants, The Smartest Men in the Room and Superheroes. 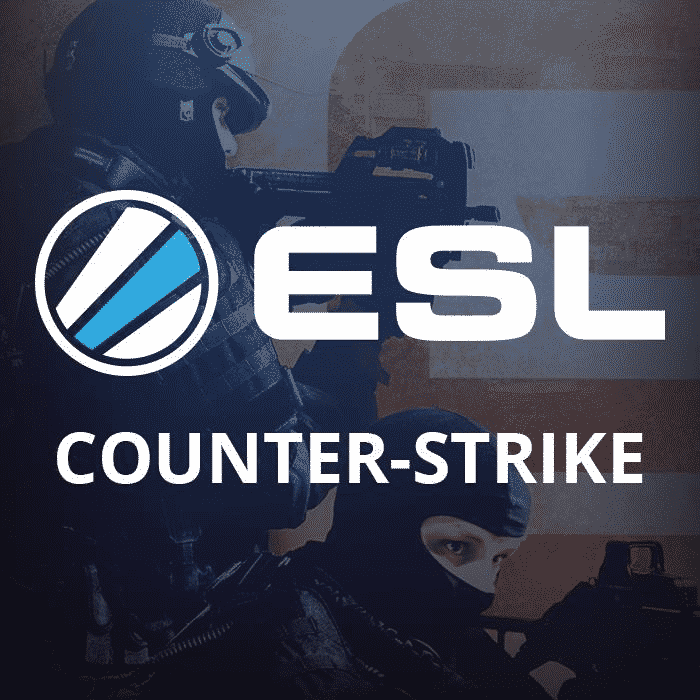 ESL host a number of competitions around the world, often partnering up with the big game developers such as Valve, Blizzard and Riot Games as well as some major sponsors such as Intel. With ESL One betting, ESL Play, ESL Pro League, ESL National Championships and ESL One to name a few, it can be difficult to keep track of all the eSports events taking place all around the world. With Master Mazuma as your guide for ESL One betting and eSports, this is the only destination you need for event, team and game guides, if you want to be sure you don’t miss the action. As an eSports sportsbook, we are also able to offer unique tips that help and inform those that want to gamble on the outcome of an eSports event or matchup. With ESL One the biggest CS:GO tournament in the world, you should be well-versed in the types of bet available, which are generally focused on different odds for team versus team, player versus player or pistol round winner. Reading our CS:GO betting guide before selecting a bet is highly recommended and pre-registering with Master Mazuma will net you a number of benefits such as exclusive welcome offer with free bets, automatic upgrade to VIP Level, custom Master Mazuma branded gear and enhanced offers on the biggest events. G2 Esports, who took part in the 2016 event as the Challenger team, but were unable to make the ascent to the top eight. They’re likely to be stronger and more competitive this year and are many people’s favourite to take the overall crown back to France. SK Gaming is a Brazilian outfit returning to Cologne as the 2016 champions. The team has been struggling since their famous victory in the LANXESS but will be hoping the big occasion brings out the best in them. Virtus.pro will be representing Poland once again and will anticipate bettering their semi-final appearance last year. Their players are on longterm contracts until 2020 and although results have been mixed over the past year, they have a good chance of being victorious. Natus Vincere seems to toil under a quarterfinal jinx at ESL One Cologne as they finished at a 5-8th place in 2014, 2015 and 2016. A well-established team, they’ll be looking to overcome their curse and become known as champions rather than unsuccessful contenders. North from Denmark joined the list of invited participants at the finals of ESL One. The team rose to prominence last year after winning the EPICENTER tournament in Moscow defeating Virtus Pro to take home a cool $250,000. OpTic Gaming was the final team to obtain a direct invite at ESL One and the American representatives caused some controversy in being selected. They have an unstable player roster and aren’t expected to challenge for the crown. Cloud9 were the ninth team confirmed through invitation and also represent the USA. 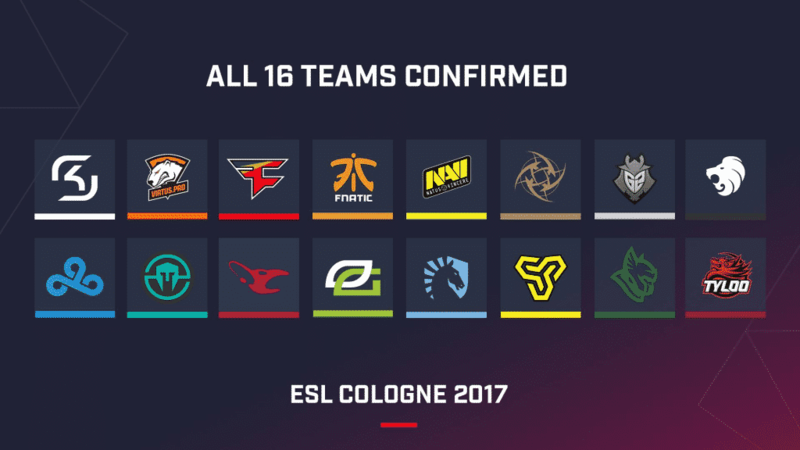 They’ve been performing well in the ESL Pro League but didn’t make the cut in the LANXESS Arena last year. Immortals are another Brazilian outfit and the tenth team on the invite list that could be a dark horse for the title. Having reached the semi-finals of the IEM World Championship in Katowice, they’ll be looking to go one better and reach the final in Cologne. FNATIC make a welcome return to Cologne looking to reclaim the ESL One trophy they last lifted in 2015. Mixed performances of late make them outsiders for the crown, but they shouldn’t be underestimated as their players have proved to some of the best in the world on occasion. Ninjas in Pyjamas were the sixth team confirmed by invite and have great memories of Cologne. The Swedes were magnificent in their ESL One Cologne 2014 win and will be quietly optimistic of repeating that success. FaZe Clan surprised many with their improbable performance at IEM Katowice and were unlucky to miss out in the final to Astralis 1-3. They are many people’s favourite for ESL One glory in 2017 and will be disappointed to not make the final at least. Mousesports have been a very established CS:GO gaming outfit since 2002 and their results in the ESL Pro League makes them a threat for the ESL One title. This is a team capable of being great as their historical win over Natus Vincere 0-16 in the ESL Pro League confirmed. Also for consideration for ESL One betting are those not at ESL One through invitation, but who made it there the hard way, with Team Liquid from the North America qualifiers, teams Space Soldiers and Heroic from the European qualifier and team TyLoo taking the final place though the Chinese qualifier. That’s the Master Mazuma lowdown on ESL One betting. As your preferred eSports sportsbook and guide to eSports, we’re here to bring you all the action as attention turns to the 7th to the 9th of July 2017 at the LANXESS Arena for the best CS:GO encounter on the planet.